Don’t let Ugly Belgian Houses fool you. 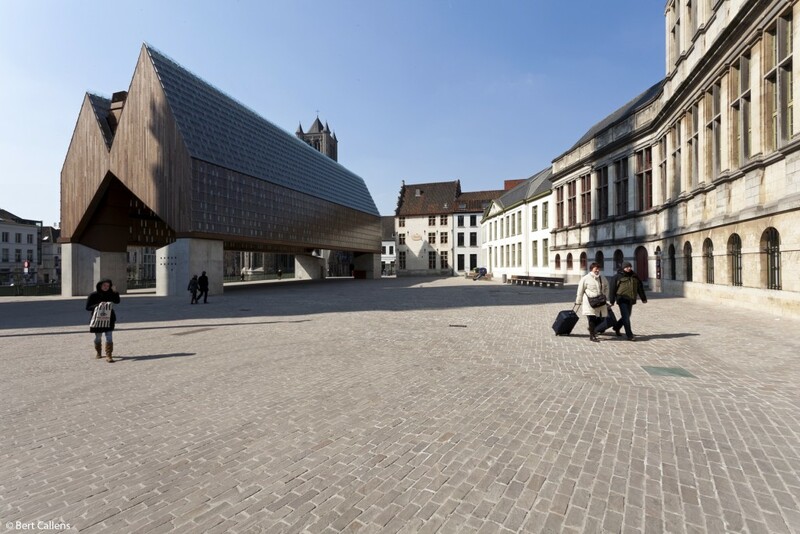 While the tiny country loves to take the mickey out of itself, Belgium’s architectural accomplishments aren’t nearly as minuscule as some of its natives would have you believe. Here are ten mind-boggling structures to prove it. 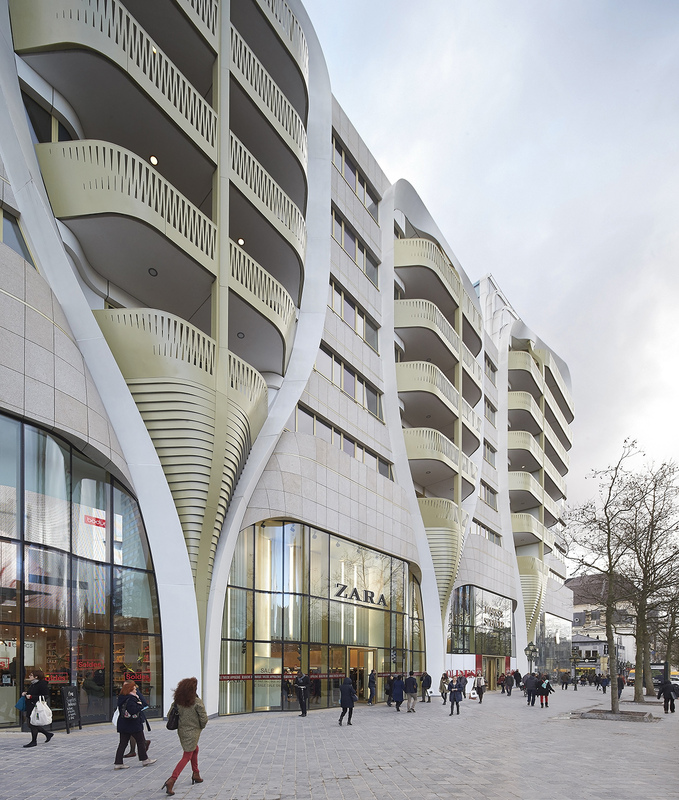 How to gracefully insert innovative beauty into a building housing death? Can it even be done? 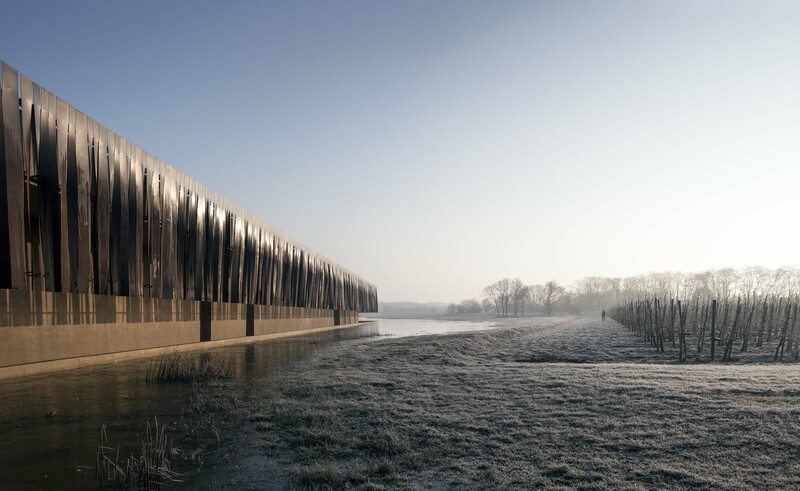 When they built their Hofheide Crematorium floating above rural Holsbeek’s swampy plain, the Ghentian architecture duo Coussée & Goris answered with a firm yes. 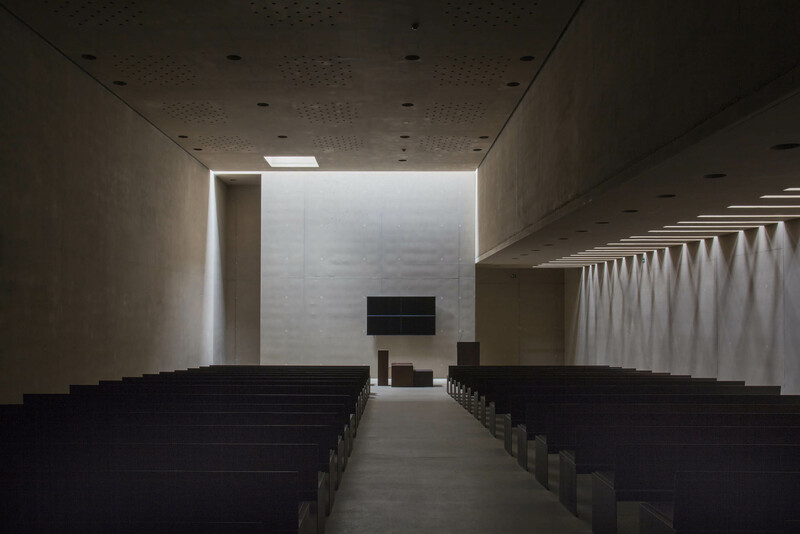 In cooperation with the Spanish studio RCR Arquitectes, they designed the iron-colored monumental structure to filter through rays of sun coming from skylights and geometric crevices. Combined with its location atop a reflective swamp pond, the structure is as close to nature as possible. 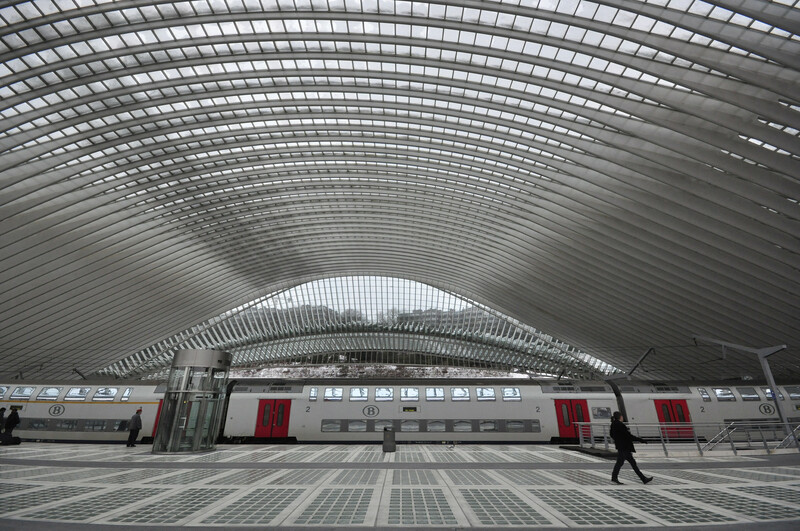 Pulling into the renovated Liège-Guillemins railway station aboard a train is entering another world. All decked out in white and steel arches, the masterpiece is classic Santiago Calatrava. The Spanish architect famed for his futuristic designs, such as Valencia’s City of Arts and Sciences, managed to create a train station that’s hard to make sense of when looking in from the outside. With no real front, back, or side to speak of, there’s no such thing as a clearly defined façade. 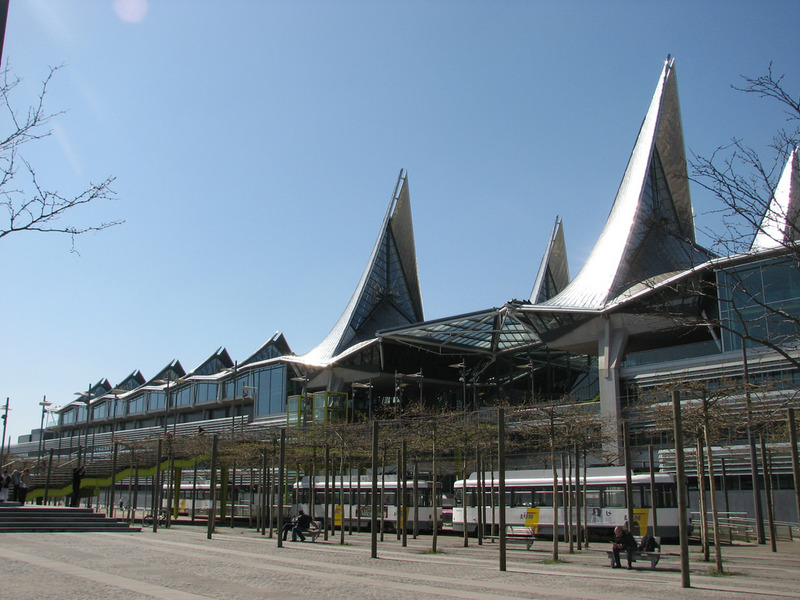 From every which direction, the streamlined structure looks stunning in its ambivalence. 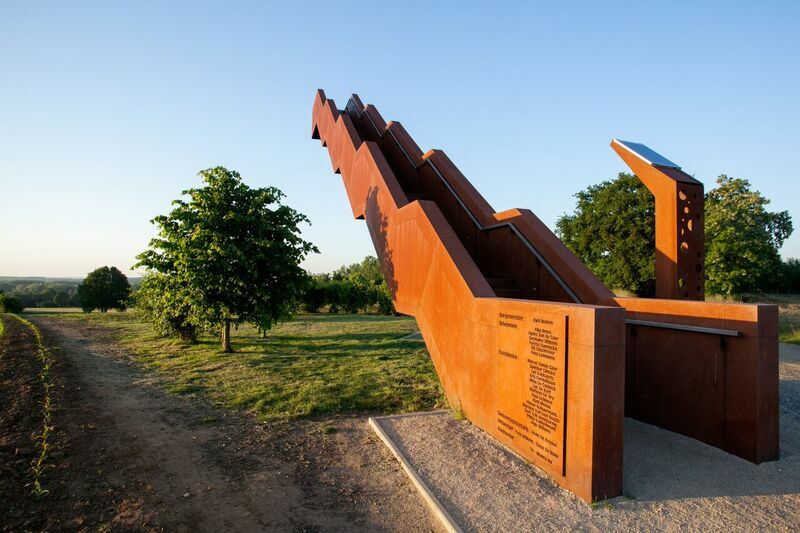 The Belgian engineering studio Close to Bone made the stuff dreams are made of come true when they decided to plop a rust-colored staircase in the middle of a plot of Flemish farmland. 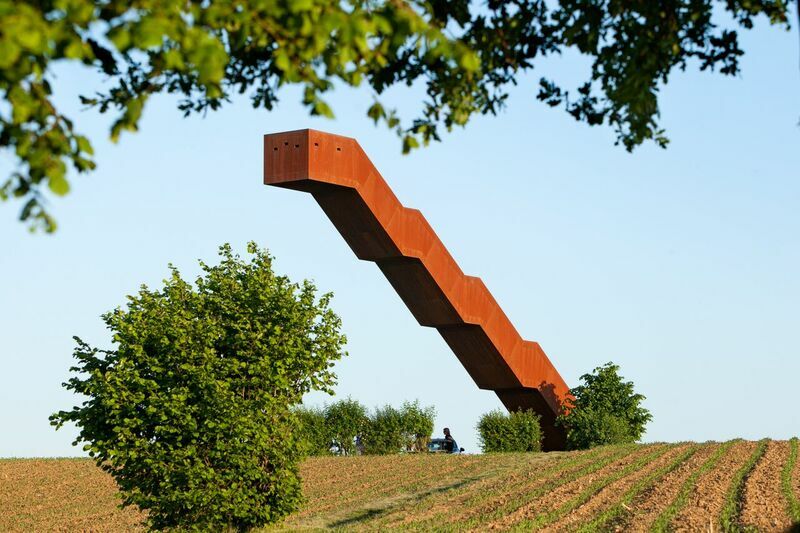 The wondrous structure, over 40 feet tall and floating in the air unsupported, replaced a wooden lookout post amid the rolling hills of Tielt-Winge that was set on fire by vandals. No such risk for the new surreal delight since the Vlooyberg Tower is made out of weathering (pre-rusted) steel. For five years now, Antwerp’s ‘museum by the stream’ has been standing tall and pushing the popularity of hip neighborhood ’t Eilandje (the little island) ever upwards. 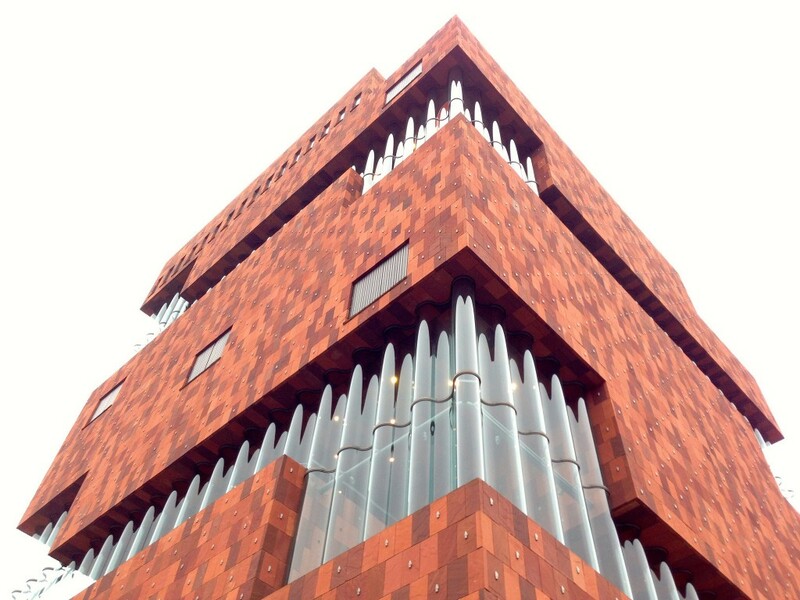 The red sandstone giant by Dutch firm Neutelings Riedijk has become a source of pride for the district and the greater city, reflecting Antwerp’s great port history back to it by inserting corrugated glass in the façade to look like waves. 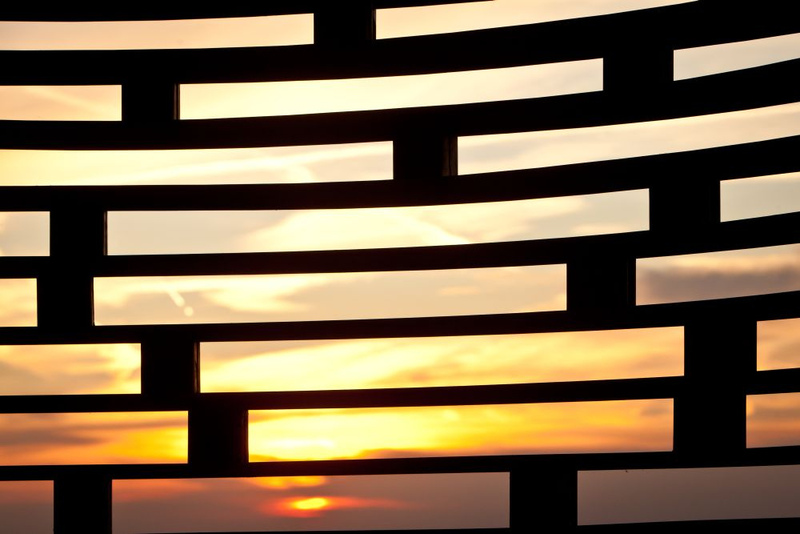 Again an architectural structure erected against a Flemish countryside backdrop, Reading between the Lines takes the artistic edge that Vlooyberg Tower possesses and turns it up a notch. 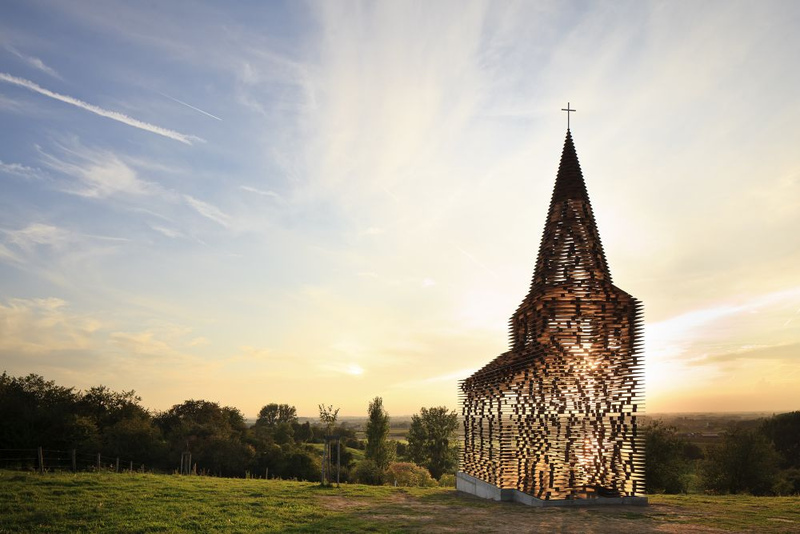 Gijs Van Vaerenbergh – the portmanteau of Leuven-born Pieterjan Gijs and Arnout van Vaerenbergh – relied on architectural know-how to create C-Mine’s steel maze Labyrinth and has done so again in building this see-through church made out of weathered steel plates. Though not doing much in the way of function, the design is a treat to the eye as it’s based on the town’s actual church, which is visible in the background. From certain perspectives a massive block, and from others hardly more than a line drawing, it’s all about perspective when looking at Reading between the Lines. 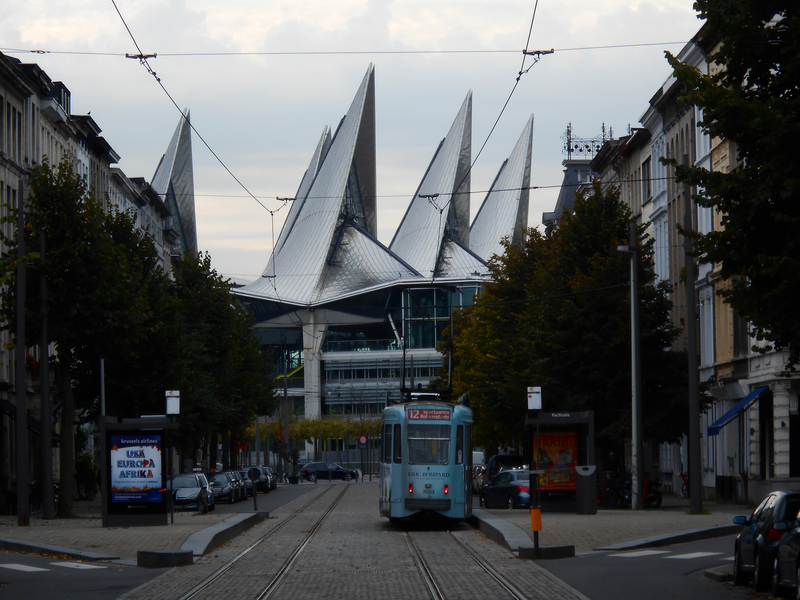 Ghent’s asymmetrical city pavilion was a two-hander and a hugely successful one at that. 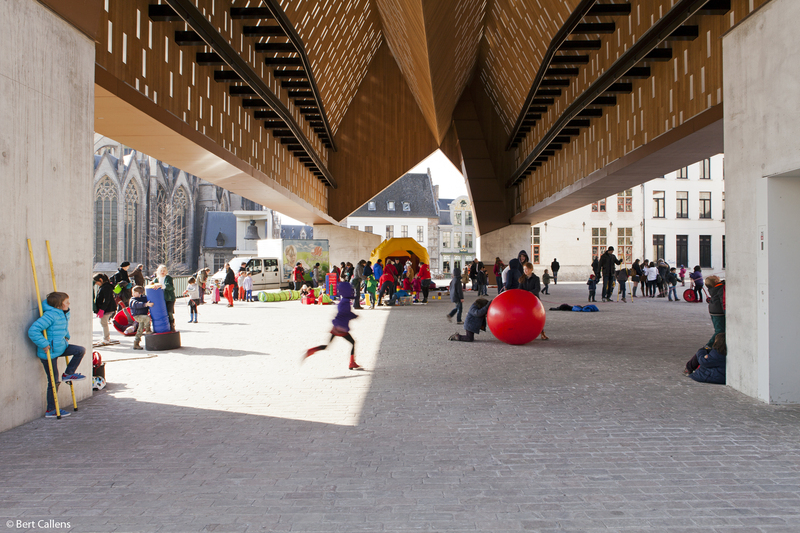 The teaming up of Belgian studios Robbrecht en Daem and Marie-José Van Hee produced a market hall open on all sides, with lights falling through hundreds of slits in the warm wooden ceiling. Four concrete blocks function as feet to the dual-gabled pavilion, with one housing a fireplace to be used on special occasions when Ghent would like to blow smoke out of the roof’s charmingly crooked chimney. The effects of the pavilion’s indoor lights are especially striking when night falls. Nothing says ‘contemporary home designed by a contemporary architecture firm’ like a see-through box in the middle of a gorgeous plot of nature. A great Belgian example of the glazed trend is Villa Roces in Bruges, by Govaert & Vanhoutte. White and sleek inside with floating stairs and adhering to a strict, minimal aesthetic, Villa Roces and its horizontal qualities contrast nicely with the forest trees rising above. 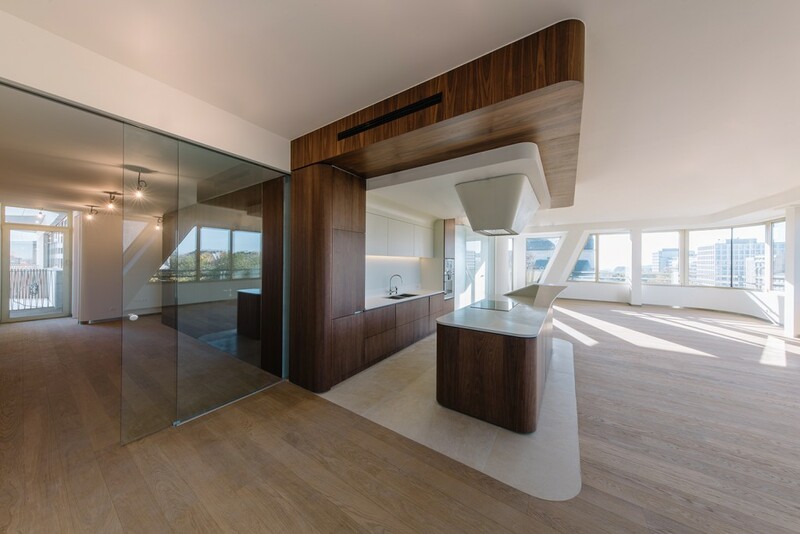 UNStudio, the Dutch masterminds behind Rotterdam’s Erasmus Bridge, had only just completed their first Brussels project in January of 2016, and already, Le Toison d’Or was a landmark. Named after the prestigious promenade it is now part of, the multi-purpose development draws attention to itself in more ways than one. 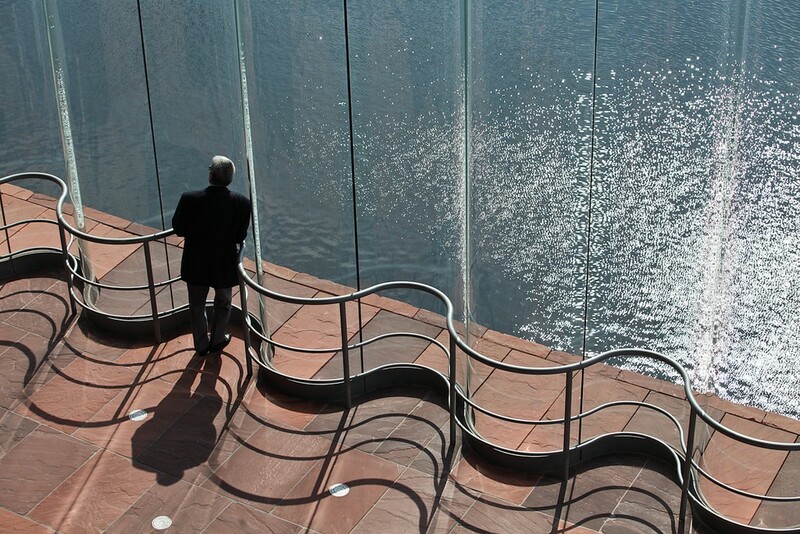 Particularly eye-catching amidst a texturally fragmented façade are the balcony rows made out of golden aluminum. How could we possibly leave it out? The European capital’s most famous symbol alongside Manneken Pis, the Atomium has a habit of baffling its onlooker with questions of its use. The strange creature balancing nine steel-clad balls on a bunch of sticks has nonetheless been reigning over the Brussels skyline ever since ’58 when engineer André Waterkeyn (design) and architects André and Jean Polak (interior) were charged with the task of creating a unique display for the World Fair. Today, the bizarre construction houses the ADAM, a museum dedicated to art and design.